GENYK (Genik, Genyk-Berezovsky), CYRIL (Kyrylo), translator, immigration agent, newspaper owner, and community leader; b. 1857 in Bereziv Nyzhnii, Kolomyya county, Austrian crownland of Galicia (Ukraine), son of Ivan Genyk and Ann Pertsovych; m. Pauline Tsurkovsky, and they had three sons and three daughters; d. 12 Feb. 1925 in Winnipeg. The son of a village mayor, Cyril Genyk prided himself on being descended from a Ukrainian noble family whose privileges had included freedom from serfdom, an important distinction in pre-1848 central Europe. He first studied in Kolomyya and then in Stanyslaviv (Ivano-Frankivs’k), where he graduated from a teacher-training college. After pursuing his education at a gymnasium in Lemberg (Lviv), he passed his baccalaureate. He may have briefly studied law at the Chernivtsi State University, but turned to teaching. His first post, in 1879, was in Kaminne, a town in Nadvirna county. In 1882 he established a school in his native village and taught there. During his studies Genyk had encountered a group of young activists with populist and socialist ideas, including Ivan Franko, who would become a renowned author and political leader. For purportedly spreading reformist ideas to the peasants of his region, Genyk was arrested in 1880, but he was never brought to trial and was released. In the 1880s he established and ran a milling business and then a producers’ cooperative called the Carpathian Store. He served on various regulatory bodies of the cooperative movement in eastern Galicia; he was elected to the Kolomyya county council in 1890. Among Genyk’s contacts was Jósef Olesków*, a professor of agronomy in Lemberg who would be instrumental in the mass emigration of Ukrainians to Canada in the late 19th and early 20th centuries. Olesków asked Genyk to take out the second contingent of settlers he had selected. On 22 June 1896 Genyk and his group of 64 settlers, including his wife and four children, arrived in Quebec City. He led them to Winnipeg and then to Stuartburn in southeastern Manitoba. Since he intended to locate there, he applied for a homestead on 22 August, but within months he changed his mind. In order to be able to send his children to school he moved his family to Winnipeg, where he purchased a house; the homestead application would later be cancelled. A mature family man, Genyk was well educated, fluent in several languages, and a capable organizer. These qualities led Olesków to recommend him to the Department of the Interior on 27 Aug. 1896 as an immigration agent. On 22 September officials of the department in Winnipeg were authorized to employ him as an interpreter and translator whenever required. The position would soon become a full-time job. Naturalized in 1900, Genyk would serve the department and local government authorities until 1911. For the immigrants he was an able spokesman and a welcome counsellor. In his uniform and peaked cap, he presented an imposing figure when he met them in Quebec City. In addition to his official duties, Genyk played a significant role in the establishment of the first Ukrainian Canadian institutions, including the Taras Shevchenko Reading Hall, which he founded in his home in 1899 as a cultural society and library. Almost from the outset he had contributed articles to Ukrainian-language newspapers in the United States and he later did so in Canada as well. For example, in Svoboda [Liberty] (Mount Carmel, Pa), he urged immigrants to come in the spring, with enough cash to start a household, and to be wary of unscrupulous steamship agents and others who might exploit them. He encouraged his fellow Ukrainians in Canada to give up traditional ways of thinking and ritualistic celebrations, to learn English, and to adjust to the new country. Together with two other Galician activists, Ivan (John) Bodrug and Ivan (John) Negrich, he founded the first Ukrainian-language newspaper in Canada, Kanadyiskyi farmer/Canadian Farmer (Winnipeg), in 1903 and established the North West Publishing Company to produce it. Although he did not profess allegiance to any denomination, Genyk knew of his countrymen’s religiosity and favoured the creation of a church for Ukrainians which would be independent of the Greek (Eastern rite) Catholic [see Nestor Dmytriw] or Russian Orthodox ancestral churches – another break with the past. In 1903-4 he and his associates Bodrug and Negrich worked with Presbyterian ministers in Winnipeg to found a syncretic church, the Independent Greek Church [see Joseph Czerniawski*] and they promoted it in the Kanadyiskyi farmer. During his years of service to the Department of the Interior, Genyk was drawn to Liberal politics, especially because the federal Liberal government supported immigration. He was the first Liberal party agent of Ukrainian origin; he recruited workers and campaigned on behalf of Liberal candidates. The Kanadyiskyi farmer became the official conveyor of the party’s ideas to the Ukrainian community. Genyk jealously guarded his favoured status with the Liberal party and among the Anglo-Canadians with whom he worked. In addition he greatly enjoyed the prestige associated with his position as a government employee. His sense of his own importance led others to describe him as pretentious and boastful. His fellow activists drew away from him and he appears to have alienated Winnipeg’s Ukrainian community generally. 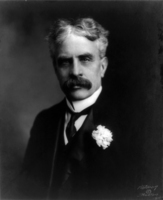 His job came to an end with the election of a federal Conservative government under Robert Laird Borden* in 1911. Little is known of him after that date since he dropped out of public life. He moved to the United States to live with two of his children, Eugenia and John, but at some stage he returned to Winnipeg, where he died in 1925. Dictionary of Ukrainian Canadian biography, pioneer settlers of Manitoba, 1891-1900, ed. and comp. V. J. Kaye (Toronto, 1975). Oleksander Dombrovsky, Outline of the history of the Ukrainian Evangelical-Reformed movement (New York and Toronto, 1979) [text in Ukrainian]. A heritage in transition: essays in the history of Ukrainians in Canada, ed. M. R. Lupul (Toronto, 1982). J.-P. Himka, Galician villagers and the Ukrainian national movement in the nineteenth century (New York, 1988). V. J. Kaye, Early Ukrainian settlements in Canada, 1895-1900: Dr. Josef Oleskow’s role in the settlement of the Canadian northwest (Toronto, 1964). O. T. Martynowych, Ukrainians in Canada: the formative period, 1891-1924 (Edmonton, 1991). M. H. Marunchak, Studies in the history of Ukrainians in Canada (5v. to date, Winnipeg, 1964-?) [text in Ukrainian]. O. I. Sych, From the “new land”: letters of Ukrainian emigrants from Canada (Edmonton, 1991) [text in Ukrainian]. Stella Hryniuk, “GENYK, CYRIL,” in Dictionary of Canadian Biography, vol. 15, University of Toronto/Université Laval, 2003–, accessed April 20, 2019, http://www.biographi.ca/en/bio/genyk_cyril_15E.html.